Why Should You Include MMA (Mixed Martial Arts) In Your Fitness Regime? Home Blog Why Should You Include Mixed Martial Arts In Your Fitness Regime? 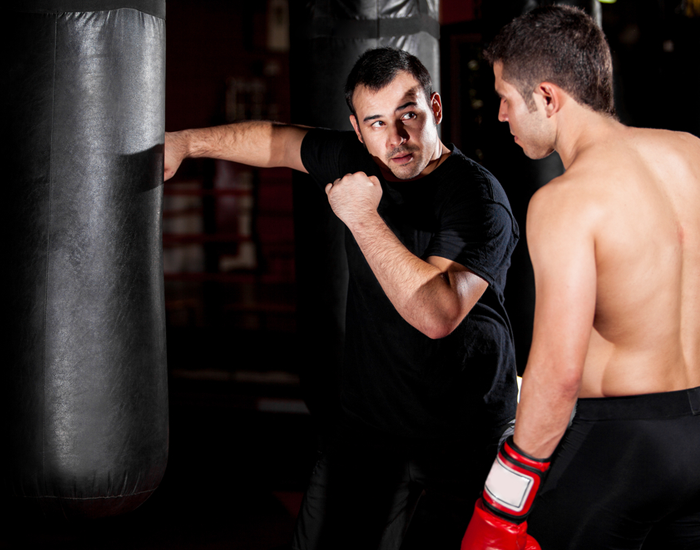 Why Should You Include Mixed Martial Arts In Your Fitness Regime? Individually or in groups, every workout regime falls under a tedious routine. And at times, this routine becomes boring for us. We may head for the gym regularly, but may not engage ourselves totally into it and push our limits. Challenges or competition are what we miss in our daily workouts. During these times, we need a fitness regime that will make us stand up on our feet and pay attention. A combination of 8 martial arts, Mixed Martial Arts (MMA) provides us with such a challenge. An Overall Workout: Unlike other workouts and training, MMA involves strengthening the lower body, upper body and core. The combat training is created in a way so that every muscle of your body is in use. Power kicks toughen your legs, punches develop resilience in your arms, grapple builds your core, and takedowns develop your back and shoulder muscles. Balance and Coordination: In MMA combats, fighters make sure that each of their body movements are well coordinated and flow in unison. Through MMA training you will learn the quick judgment of timing and distance to deal with combats as well as dodge your opponent’s attacks. Because MMA involves quick movements, it helps improve coordination between the body and the mind. Aerobic and Anaerobic Conditioning: On one hand, aerobic conditioning involves the development of your heart and lungs with the production of more oxygen in the blood. On the other, anaerobic conditioning deals with building up your endurance. With swift and sharp movements and relentless fighting sessions, Mixed Martial Arts training does both. Mental Health Enhancer: There is one common combination of traits in every superhero you can think of, that is, confidence, humility, focus, and leadership. With the power and defence skills, you gain in MMA, you become more focused and confident about your abilities. Your anxiety, depression, and melancholia evidently recede, instead calmness and mental strength prevail. So, why not become a superhero in your life for yourself? Faster Weight Loss: With the intense combat training of MMA, which actively involves each and every muscle in your body, you end up losing a lot of weight. And that too, a lot faster. You may lose about 400 calories during each session of a regular workouts, whereas, striking and grappling classes in Mixed Martial Arts can burn up to 620 calories in one go. Mixed Martial Art is a form of combat training that everyone should opt for today. It not only stabilizes mental and physical health but also helps develop great defense skills. Just like everyone in the country of Israel is provided military training to combat the hardship in their lives, you should also take the initiative to transform yourself into a stronger and fitter you. If you are looking for expert MMA trainers, download FITPASS. It is the one app that caters to all your health and fitness needs. With more than 2000+ options of varied fitness centers, getting multiple professional MMA trainers is a guarantee. Train properly, become stronger, and head towards a better life.